During the Spanish Civil War (1936 – 1939) a call went out from the Republican forces for communists and socialists around the world to come to Spain and join the fight against fascism. 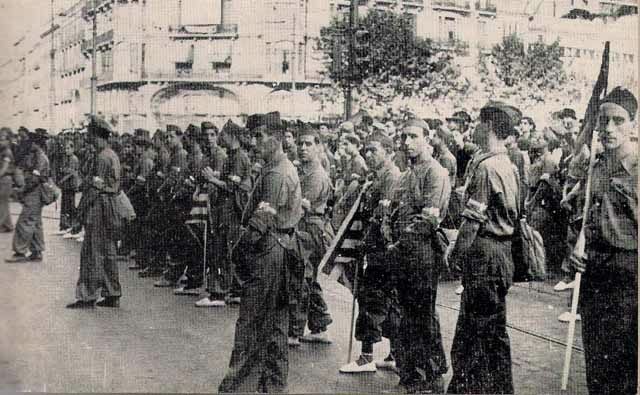 The democratically elected populist government had been challenged by General Franco’s Nationalist rebels. As Franco had the support of Germany and Italy as well as some of the army units, the Republicans were soon at a disadvantage. Around 40,000 men and women from 52 countries responded and joined the fight on the Republican side. That number included a substantial number of Americans who become part of the XV International Brigade. The regiment was made up of volunteers from Britain, Ireland and South America alongside the American recruits. 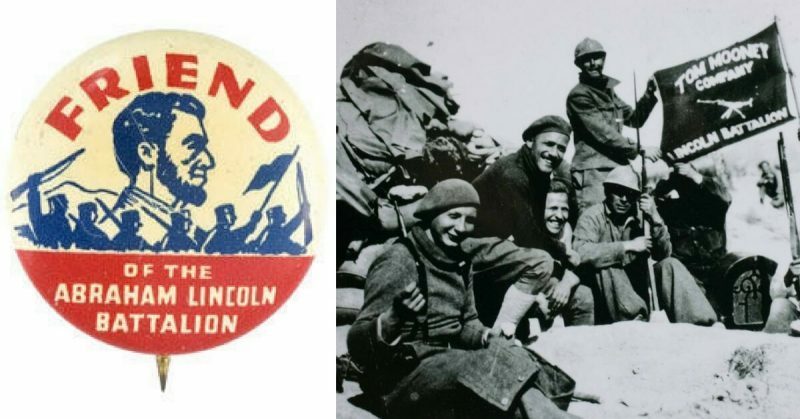 Within the XV Brigade, the US fighters were organized into one of the best-known battalions of the Spanish Civil War: The Lincoln Battalion, also known as the Abraham Lincoln Brigade. International Brigadiers from the XI International Brigade in Spain, 1937. The motivation for many of the Americans joining the fight was a fear that fascism which was rapidly gaining a stronghold in Europe could easily infiltrate the United States. The volunteers were a diverse group of men and woman and included many Jewish and African American recruits. In keeping with the spirit of internationalism, there was no segregation in this army and it was in the Lincoln Battalion that an African-American led his white comrades into battle for the first time. Republican volunteers at Teruel, 1936. There were also a large number of college graduates and young intellectuals perhaps influenced by authors such as Ernest Hemmingway whose writings gave a rather romanticized picture of the war in Spain. Others may have simply been seeking adventure with little idea of what lay ahead. They brought with them a wide range of skills including medical, technical and aviation skills which would be valuable in the battlefield. It was illegal then – as it is today – for US Citizens to join a foreign army. Recruitment and training had to take place in secret. As a large number of the recruits came from the New York City area it was there that the initial training took place. This was however extremely basic and in no way did it prepare the recruits for the challenges they were soon to face especially as many of them had never even held a gun before. So, after two weeks of training, sometimes using broom handles in place of guns, the Lincoln Battalion were set to board the steamer that would take them first to France then across the border to Spain. The first major challenge that the new volunteers faced was the Battle of Jarama early in 1937. From 6 – 27th February General Franco’s army fought to force the Republicans out of their stronghold along the banks of the river Jarama near Madrid. Despite large numbers of casualties, little ground was gained on either side. 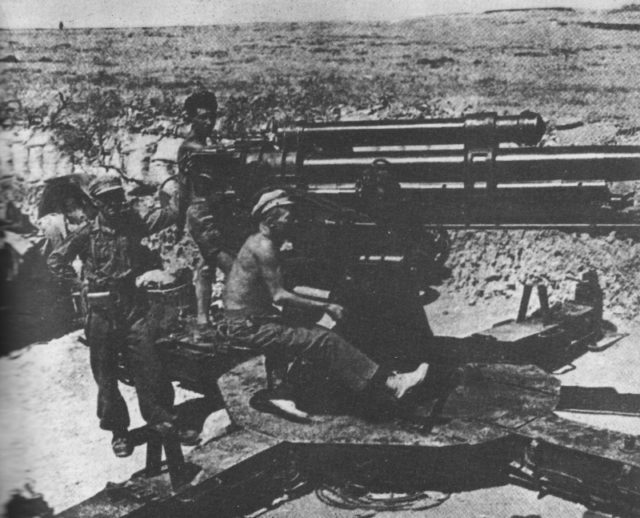 The Lincoln Brigade faced the elite Spanish Legion, which included the Spanish Army of Africa. 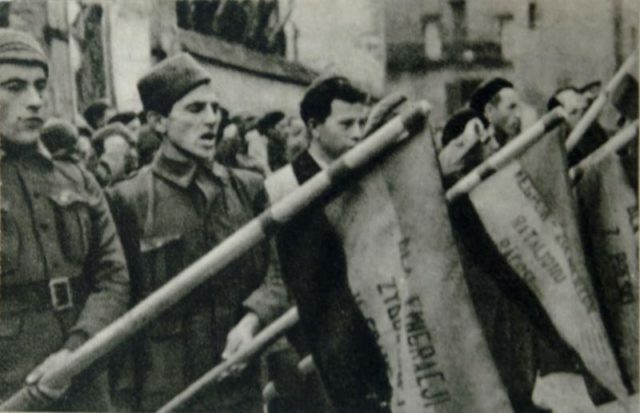 Polish volunteers in the International Brigades. This was one of the best units on the nationalist side and although the Republican side did well to defend their position, their own counter attacks proved to be futile. Little progress was made, but the costs were high on both sides. As well as suffering many casualties, the Lincoln Battalion lost its commander, Robert Hale Merriman who was seriously wounded. Afterward, Jarama the battalion fought in a number of smaller battles before being taken out of action to rest for a while. When they returned to the field they were joined by another battalion from the US, the recently trained George Washington Battalion. Their next major confrontation was the offensive at Aragon where they initially maintained a strong foothold, although it ultimately ended in a disastrous defeat which became known simply as The Retreats. 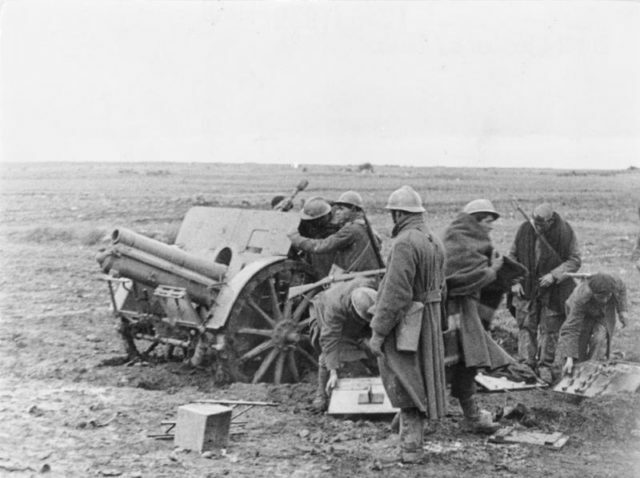 The nationalists wanted to break the Republican stronghold at Aragon and on the 30th March, they launched an offensive with tanks just to the south of Aragon. Unfortunately, the Republicans mistook these Italian tanks for the tanks of the General Lister’s Communist 5th Regiment. As a result, the US soldiers were not prepared and were soon under attack and forced to retreat, allowing the nationalists to regain their position at Aragon. This resulted in a large number of casualties as well as the capture of two high-ranking officers of the XV International Brigade, who were most likely executed along with many other international POWs. Perhaps because of the news of so many casualties the number of new recruits crossing over from the US soon dwindled. No longer an American only battalion, their number now included local Spanish fighters, most of whom had little more training than their American counterparts. Their final battle took place on the banks of the River Ebro. In July the Republican soldiers made several trips across the river into the nationalist territory to gain intelligence which they could use to plan their campaign. Soon afterward they launched an offensive. On the first day they surrounded the enemy and took about 4000 prisoners, but there was to be no swift victory for the Republicans. As soon as the news of the attack reached Franco reinforcements were dispatched. Franco also ordered the dams of the river to be opened. The bridges were flooded and the Republican tanks could not cross. Repeated attempts to repair the bridge were almost immediately undone by Franco’s bombers. After four months, largely due to the nationalists’ superiority in the air, the Republican soldiers were forced to retreat. Afterward, the Lincoln Battalion were withdrawn from the battlefield by the Spanish Prime Minister and arrangement for repatriation began. A parade was arranged in their honor before they left Spain but the soldiers’ return was hardly heroic. The lack of proper training and equipment and the high number of losses among their colleague had left many disillusioned. In addition, many were regarded with suspicion and seen as dangerous communist sympathizers. However, in some circles, they were celebrated as freedom fighters and heroes who sacrificed much to fight against fascism. They received support from a number of specially formed charitable organizations such as the Friends of the Abraham Lincoln Brigade. They are still remembered today through the Abraham Lincoln Battalion Archives which works to preserve and commemorate their history.